Pin It Welcome to Giveaway Number 2 and this one is from Kitchenware Direct. Now it's no secret around here I LOVE to shop, instore, at markets and especially online and it was my love of shopping that originally led me to Kitchenware Direct and they have been a supporter of Life Love and Hiccups from the very first month we were up and running. 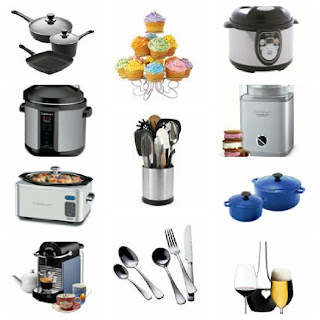 Kitchenware Direct are a family owned business who have been retailing kitchenware since 1992. They are now Australia's premier online kitchenware store and one of the largest specialty retailers of cookware and kitchenware in Australia. They stock all the major brands and more including All-Clad, Anolon, Calphalon, Cuisinart, KitchenAid, Le Creuset, Shun, Wusthof, Global, Scanpan, Circulon, Bamix and Magimix. They have an extensive product offering across categories such as Appliances, Bakeware, Barware, Coffee and Tea, Cook's Tool and Kitchen Gadgets, Knives, Crockery and Cutlery. Now if you love shopping like me, you are going to love this Giveaway. The very friendly Brad from Kitchenware Direct are giving one lucky winner a $150 voucher to spend on anything from their website and let me tell you there is sooooo much to choose from you will have a hellava time trying to choose. If you simply can't wait to see if you win, don't wait! You can go to the Kitchenware Direct and order any of their fabulous products now. Shamelessly I need to win these for me!! After helping out some family members in need, I find myself now in need of new kitchen appliances! Good Luck everyone! Congratulations Carmel. Please send me an email to lifelovehiccups@optusnet.com.au with your contact details, so we can organise your prize for you.